The Customize Windows > Computer and Internet > Digital Photography > How to Get Photographer Accreditation or Press Pass? How to get Photographer Accreditation or Press Pass which is important for sports, concerts, political events which are quite good for exposure as photographer. Photographer Accreditation is preciously checked by the trustee or organization for photographing an event. This concept of Photographer Accreditation or Press Pass is only for important events, for a free concert in a small room, it is rarely necessary to obtain Photographer Accreditation or Press Pass, same thing with a little football game on Sunday afternoon at the stadium at your town. The difficulty for getting Photographer Accreditation or Press Pass is highly variable, because the importance of the event determines it. In general, you must have a legitimacy to be photojournalist (a journalist with a press card), corresponding release (often with a corresponding card issued by the newspaper for which you work, but itself it has no legal value) or possibly a photographer for a magazine (or online magazine which has a registration). At a concert or a show, the organizer provides a license to use the image of an artist under the freedom of the press, but also in exchange for a newspaper article. So, if you come personally just for fun, if you want to practice in concert photography, orient yourself small municipal concerts and small festivals; if it becomes apparent – you can forget to get the chance. For an amateur photographer or a photographer who is not a journalist, an effective solution for getting a photographer accreditation to an event without a press card is to directly contact the organizer with your other valid identity cards. This does not helps to photograph a professional sporting, but it can open the door to a concert, a festival, a regional rally, an air show etc. Please come to contact with as many people in the middle that you want to photograph, create links to expand your network and be patient. Last way for getting accreditation more or less easily is to volunteer an association or a sports federation or a webzine. Widely used in many countries by the regional daily press, the local press correspondent covering the news for a local newspaper in a small geographic area (one or more neighboring towns). The PLC writes the articles and often photograph the event. A professional journalist is then responsible for reformatting the text and possibly make changes. This status is set by law, which allows the press a good way to be in events in your geographical area and make a press meet. The newspaper pays the CLP the fees and the person is considered to be an independent worker. Many newspapers deliver a corresponding local press card, it is a small document with photo of CLP, name, the logo of the newspaper, have the words “local newspaper correspondent,” the period of validity and the signature of the head of the agency. This is more than enough to go cover the concert or festival area and go through security without a problem. If you have a good pen and a good command of the photo, you can try to contact the editor of a newspaper near you to offer your services. For UN, it can be quite hard for security reasons, depending on the event. Unfortunately, a normal press card holder might not be allowed to remain in a sports event throughout the time. You may be wondering how to cover an International Match? Access to a major sporting event is available only to holders of Sports Press card. 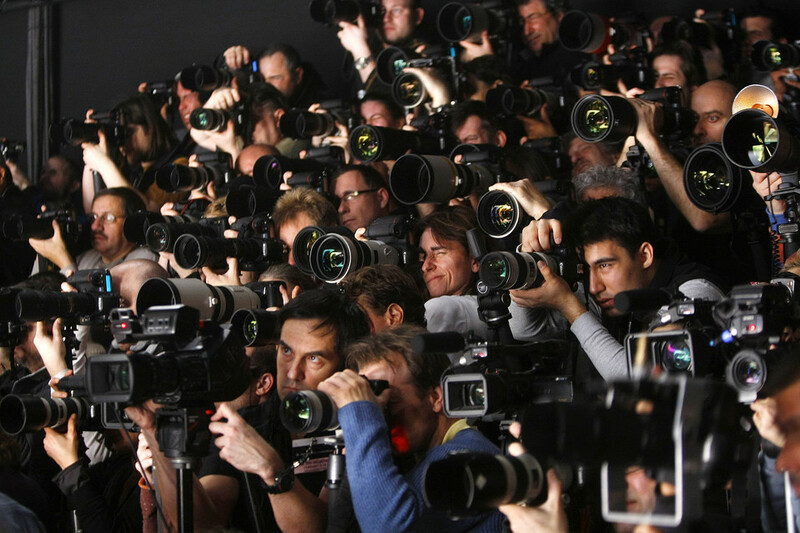 Depending on the persons performing or present or the event, the Press as well as Photography is controlled. Otherwise, bad peoples would use the photography pit. Do not try to search with Get Photographer Accreditation or Press Pass Easily or similar terms – you can end up getting a fake card and land behind the bars. Articles Related to How to Get Photographer Accreditation or Press Pass? Ambient light in portraits is extremely useful to make a leap in quality that your portraits so far have been an almost locked into. This an advanced guide. Title: How to Get Photographer Accreditation or Press Pass? Cite this article as: Abhishek Ghosh, "How to Get Photographer Accreditation or Press Pass?," in The Customize Windows, October 8, 2013, April 21, 2019, https://thecustomizewindows.com/2013/10/how-to-get-photographer-accreditation-or-press-pass/.